By the time Anthony Bourdain wrote his hit memoir Kitchen Confidential in 2000, his days of "snorting cocaine through uncooked penne in the kitchen" were long gone. But, this didn't stop readers and some aspiring chefs to take up the bad habits detailed in that book. "I can see that it did usher in a subculture of meatheads to some extent that I benefited from," Bourdain admits. "I don't feel bad about it; I can hardly look at a 22-year-old and expect them to be any smarter than I was, so I'm not critical of it. "I'm not embarrassed...Maybe a little bit. It's 2016: if you're still doing cocaine and you think that's going to make you smarter or that it's good for your career, I don't know what to tell you." Now another 16 years removed from when that book came out, Bourdain's life doesn't resemble his drug and alcohol induced days working on the line at all. Instead, he's pretty focused cooking for his daughter instead of groups of strangers in restaurants. "She's the costumer now," he reveals. "Like a lot of people, I try to express love through cooking and maybe even smotheringly so — the menu revolves around her and her likes and dislikes." Bourdain explains that this way of cooking, more geared towards friends and family, lays the foundation for his new cookbook titled Appetites: A Cookbook. ​So does his daughter want to follow in her dad's footsteps in the kitchen? 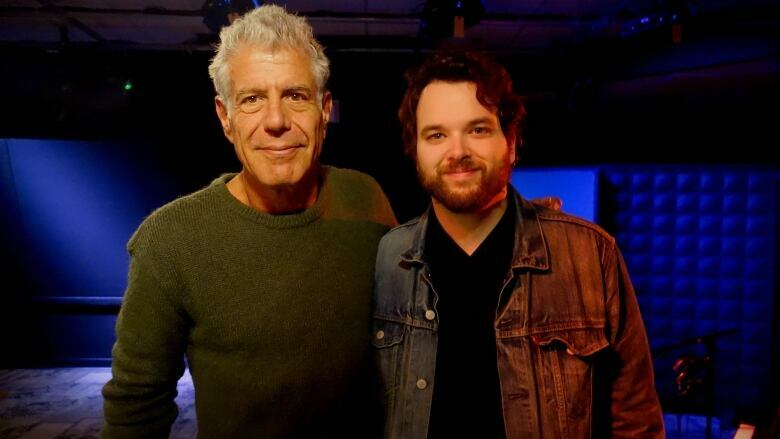 "She wants to be a rock star," Bourdain says, citing The Kills' Allison Mosshart as her idol. "But she also wants to be a plastic surgeon, a chef and a martial artist." WEB EXTRA | Read Jen Agg's book review of Anthony Bourdain's Appetites for the Globe and Mail, as mentioned in today's interview. Richard Hell and the Voidoids, "Blank Generation"
Curtis Mayfield, "Give Me Your Love"